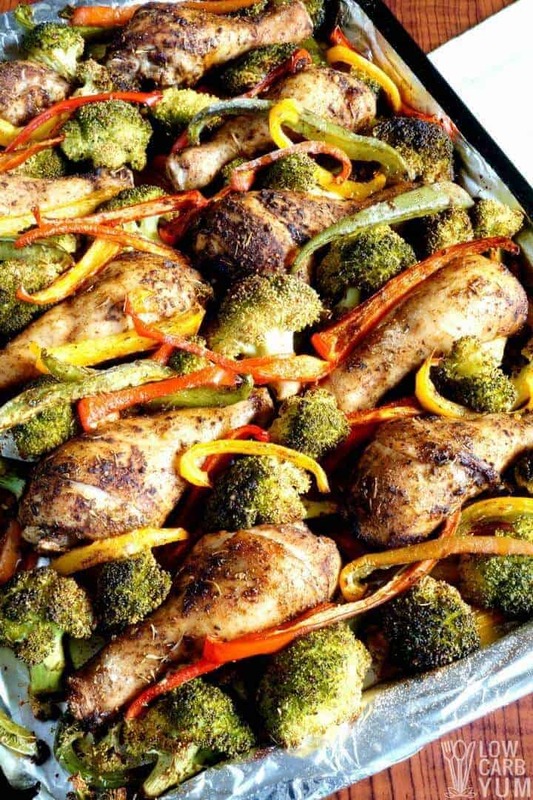 For a great weeknight dinner, give this one pan chicken and veggies bake a try. It’s even easier if you use pre-cut vegetables! 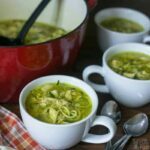 I’m all about easy low carb chicken recipes to serve my family on busy weeknights. 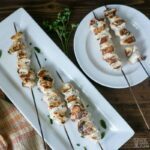 One of our favorites is my paleo friendly gluten free shake and bake chicken. 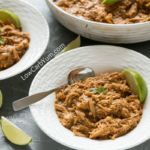 My family also loves to eat Filipino chicken adobo and I always make it with skinless boneless meat. In fact, that’s the dish that’s most requested by the picky eaters. 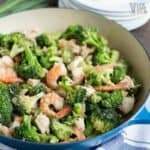 In my quest for simple weeknight dinners, I came up with a super easy one pan chicken and veggies bake recipe. 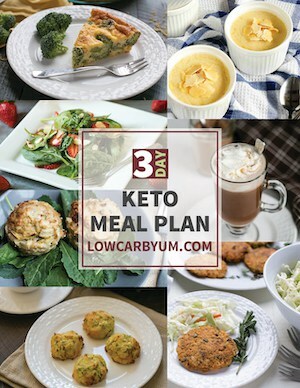 Although I used broccoli and peppers this time, it’s easily adapted to use any low carb vegetables. My kids actually like to eat broccoli, but my husband does care for it. So he just eats the meat from this dish. Unfortunately, my husband is a meat and potatoes kind of guy. And, I don’t buy or cook potatoes. But, he does like green beans so maybe I’ll try that next time. 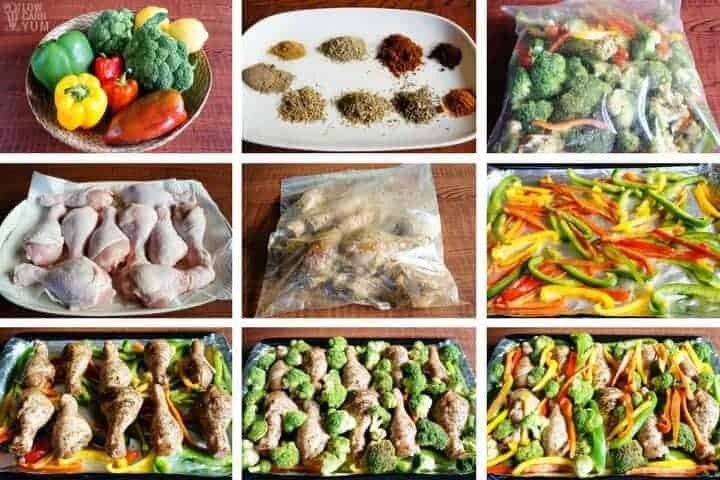 A zipper plastic bag is best for coating the seasonings onto the chicken and vegetables. If you don’t like using plastic, you could use a mixing bowl instead. I’ve started to use reusable zipper bags for many things, but I don’t like to put raw meat in them. 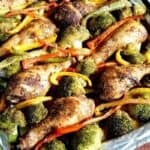 That’s why I used a regular large zipper bag for this super easy one pan chicken and veggies bake dish. When storing food, I never use plastic. I keep everything stored in glass containers or metal storage containers. Unfortunately, it’s tough to find ones without plastic lids. I’ve gotten away from plastic water bottles too. Instead, I fill up glass water bottles with filtered water from our well. In the past, I’ve always liked to save clean-up time by lining the baking pans with aluminum foil. However, recently I’ve discovered that this isn’t a good idea as the aluminum can go into the food when cooking as described here. What I’ve found is that using a well seasoned cast iron baking pan or a stoneware baking pan works best. Things that stick to metal baking pans don’t stick as much when using those. 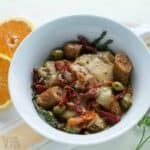 So, you may not want to use aluminum foil for this super easy one pan chicken and veggies bake like I did. I’ve now switched to baking my sheet pan dishes in stoneware. There’s a tons of simple sheet pan dinner recipes out there. 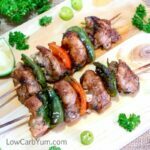 One of the other easy recipes I’ve tried is shrimp low carb fajitas. When you don’t feel like standing over the stove to cook, baking your meal in the oven is a great option. And, with sheet pan dishes cooking is a breeze. 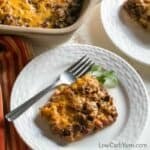 Have you made meals using a baking pan? 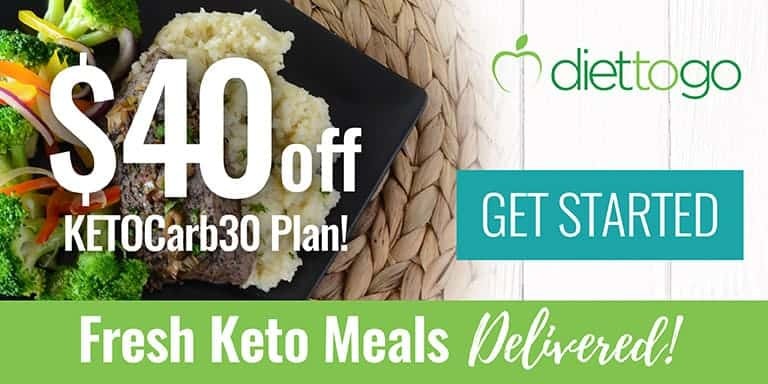 What’s your favorite dish and pan to use? 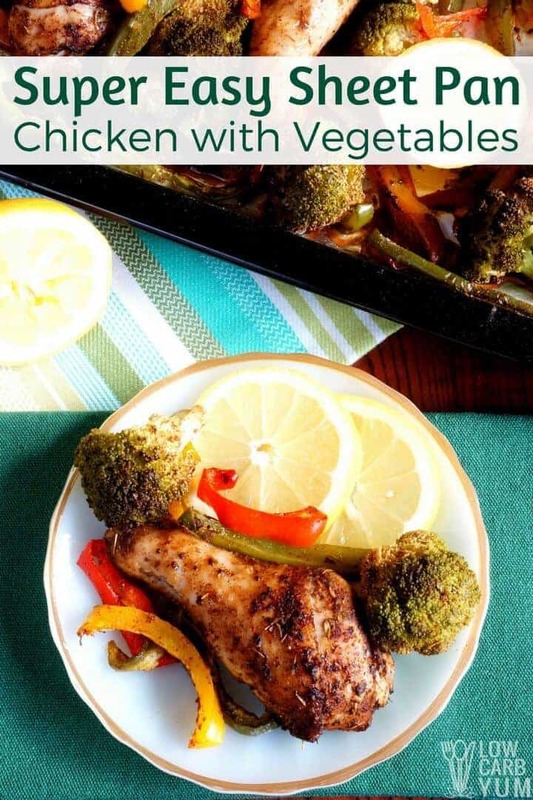 For a great weeknight dinner, give this super easy chicken with vegetables a try. It's even easier if you use pre-cut veggies! Season chicken with salt and pepper. Refrigerate while preparing the rest of the ingredients. Cut broccoli into florets and slice bell peppers into strips. 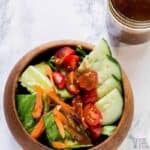 In a large zip lock bag, throw in vegetables and add ½ Tbsp. of seasoning. Close the bag and shake. Set aside. You can use the same zip lock bag or use another, throw in chicken drumsticks and the rest of the seasoning. Close the bag and shake until the all chicken pieces are coated with the seasoning. 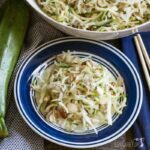 Arrange in a foil-lined sheet pan. 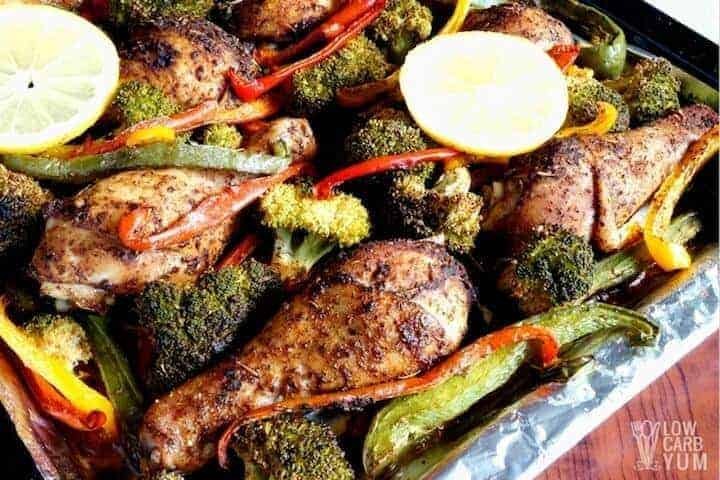 Lay half of bell pepper strips, add chicken on top then add broccoli in between the chicken drumsticks. Top the remaining bell pepper strips on broccoli. Drizzle 3 Tbsp. Olive Oil. 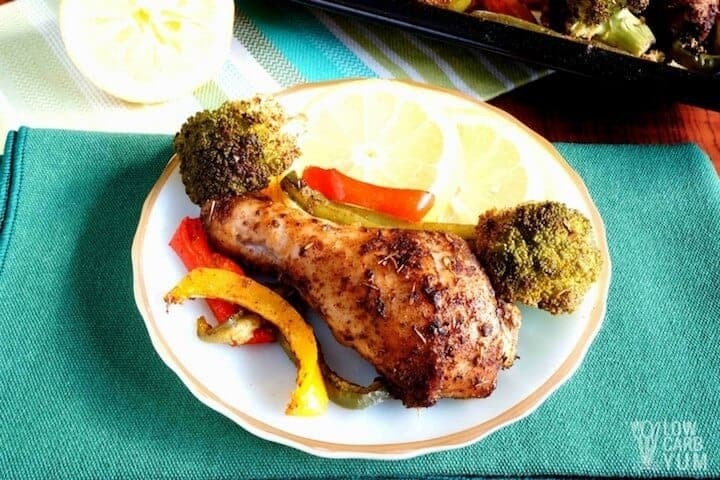 In a preheated oven of 475°F, bake chicken drumsticks, broccoli and bell peppers for 15 minutes. 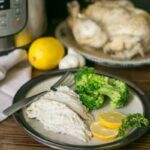 Reduce temperature to 400°F and continue baking chicken and broccoli for 35 to 45 minutes or until chicken is cooked through, reaching 165°F near bone. Before serving, drizzle freshly squeezed lemon juice all over. Enjoy!